We left for camp on Monday morning and got back late, late, late Friday night. Wes’s parents came into town that day, picking up Emma en route and picking up Charlie at the vet’s office before closing hours so that he wouldn’t have to spend another night away from home. It was a good thing they were in town because after all the teenagers were picked up by their parents, the church van wouldn’t start (dead battery), and we had no way of getting back home. Granted, we could have walked the two miles to our house, but it was eleven at night, Ana was asleep, and it was raining. Not a good combination for a brisk walk. Wes’s dad came and picked us up, and we collapsed into our own bed (yay!) soon after. Now that the busy holiday weekend is behind us (whew! ), we have a busy week ahead of us. I have a huge, long list of errands to run today and just realized this morning that we have a birthday party in Fort Worth in two weeks. Yes, the birthday party that WE’RE throwing! Hmm. That kind of snuck up on me. This is what happens when June is so booked — the whole summer flies by! Youth camp was our last big event for a while, so I’m hoping we settle into a normal routine soon. Well, better go and get those errands run. We’re taking family pictures on Saturday, and the girls haven’t had their bangs trimmed in probably three months (!!! ), so it would be nice if I got that done so that we can see their little eyes in their three and four year old pictures. THREE and FOUR!!! How is that possible?! 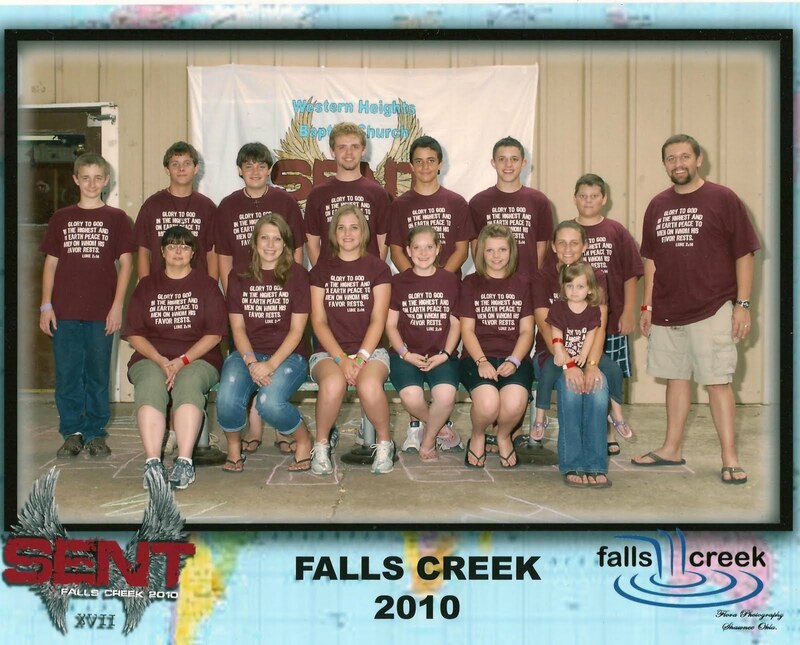 It looks like you all had a great time at Falls Creek (I saw the pictures on Facebook). I am thinking about taking Hannah and leaving Jesse with family, or vice versa. Did you think it was better to take your Ana because of her age?